When you become a parent, you are making crucial decisions on an ongoing basis regarding the health and happiness of your child. One of those decisions, as common as it may sound, is regarding where your child sleeps and it’s a wildly debated topic. A parent can decide to co-sleep with their baby – which means having your newborn sleep in bed with you or next to the bed in the same room. However, the high risk associated with sleeping with your child in the bed with you as a parent or caregiver is often considered too high of a risk to take. Instead of actually sleeping in the bed with your newborn, bassinets are a wonderful option. A new parent can make co-sleeping work for them without the newborn actually sleeping in the bed. Co-sleeping benefits can be achieved by placing a bassinet next to the bed instead. One statistic on co-sleeping indicated that there were 8,207 infant deaths from 2004 to 2012 in 24 states, and 74% of those deaths occurred in a bed-sharing situation. Some may argue that co-sleeping reduces the risk of Sudden Infant Death Syndrome (SIDS). However, you gain more risks when putting the child in the bed with you. By simply putting the newborn in a bassinet next to the bed, rather than in the bed, you are decreasing the risk factors of two sleeping adults possibly suffocating the newborn accidentally while in bed with him or her. The American Academy of Pediatrics says sleeping in the parent’s room, separately, on a safe surface (such as a crib or bassinet) lowers SIDS up to 50%. The US National Library of Medicine states that co-sleeping is popular, even though there are risks involved. In 2012, a study was done on bed-sharing between parents and newborns and the occurrence of co-sleeping doubled from 1993 and 2010 from a mere 6% to 13.5%. Why do parents still co-sleep? Studies show that babies can get a boost in development from sleeping with their parents. Keep in mind this feeling of added security is also believed to happen when the newborn sleeps in the parent’s room, safe and secure in a nearby crib. Another reason to co-sleep is for mothers that breastfeed. Breastfeeding can be easier when the baby is in the room because newborns are eating around the clock. However, even if your baby is within arms reach in a crib nearby, you can breastfeed with ease, if you chose to do so. It’s true: being a parent can be exhausting, especially with a newborn! Co-sleeping often disturbs a parent’s deep sleep because of the worry that your newborn is sleeping right next to you in the bed. Your sleep is imperative to your well-being, especially now that you have a newborn you are caring for every day and night. A – Alone. The newborn sleeps alone. Not with you in the bed. This is good for the first six to twelve months of an infant’s life. B – Back. The baby sleeps on their back with nothing interfering. Such as a back pad, blankets, and covers or toys. C – Crib. Your infant needs to be sleeping somewhere, and a crib or bassinet is your best option. Deciding to co-sleep is a decision between you and your partner. But it’s important to understand the significance of setting up a good routine for you, your baby and your entire household. If you have questions or concerns about your newborn’s sleep schedule or co-sleeping, contact Dr. Kellow or Dr. Shaw and we’d be happy to discuss what’s best for your beautiful, new family member. Give us a call at 618-235-2311 or contact us here. Fruits, grains, protein and vegetables are all a part of the classic “food pyramid”. A newer representation of this handy graphic, called MyPlate, can be found at www.choosemyplate.gov offering an easy reminder for all of us to eat healthy. 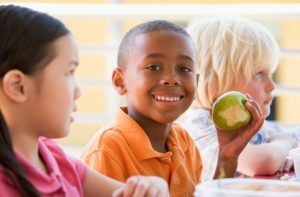 A variety of foods offer our children the vitamins and minerals needed to maintain active, healthy lifestyles. 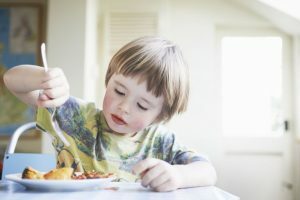 And, eating right at an early age will only help to develop young taste buds in children – cravings that prefer a diet with limited sugar and a lot of natural, healthy goodness found in the MyPlate guidelines. We all know the importance of eating a well-balanced diet, but then reality sets in. Late night practices, slept-through alarms, and rushing from point A to point B can make ensuring your children always receive the healthiest options more difficult. With fast food drive-throughs and skipped meals, how do we make sure our children are receiving the nutrients they need to thrive? That’s when supplements may need to be considered as part of your daily routine. If your child is a picky-eater or maintains a poor diet, supplements may make sense. 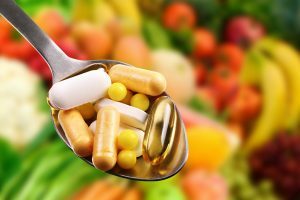 Other reasons supplements can be used include incorporating them into the diet of children that follow a vegetarian or a vegan diet. Integrating vitamin B12 would be beneficial since it’s only found in animal-based proteins. Some celiac diseases also put children at a higher risk for deficiencies, making supplements a wonderful option for them. The best option? Strive for a well-rounded diet. A balanced diet includes dairy (or dairy alternatives), fruits, veggies, grains and proteins like eggs, nuts, and poultry. According to the American Academy of Pediatrics, most of our children simply do NOT get enough iron and enough calcium. Some foods that offer iron include beef, pork, turkey, beans and spinach. Why is iron important? It builds strong muscles and helps to produce red blood cells. If your child is lacking iron, you may notice they are tired, are more anxious, and become ill more often. Calcium found in dairy products, spinach and broccoli helps grow healthy bones and if children don’t get enough of it, they could suffer from poor growth and osteoporosis as they age. Other supplements typically important in a child’s development include Vitamin D, A, and B. Vitamin D is important because it controls the absorption of calcium and helps grow strong bones and teeth. Kids that consume less than 32 ounces of Vitamin D may need a supplement to meet those recommended amounts. Vitamin B helps with metabolism and energy, and Vitamin A helps with normal growth for healthy skin, eyes and resistance against infection. Unsure if your child would benefit from a supplement? It’s best to check with your child’s doctor and discuss options. 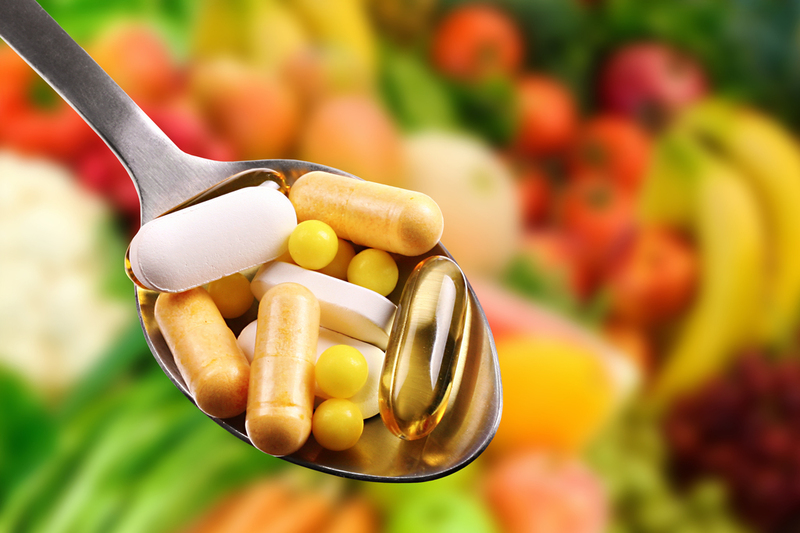 Taking large amounts of vitamins, for example, can prove to be more harmful than beneficial. Thousands of children are taken to the ER each year because they have consumed too many vitamins, usually unsupervised. Although children’s vitamins in chewable, gummy-form are more desirable to take, sometimes children can treat their consumption like candy. It’s best to always administer any vitamins to your child and keep the bottle on a tall, hard-to-reach shelf to be safe. Ideally, getting vitamins and minerals through food and drink should be your ultimate goal for a happy, healthy lifestyle. 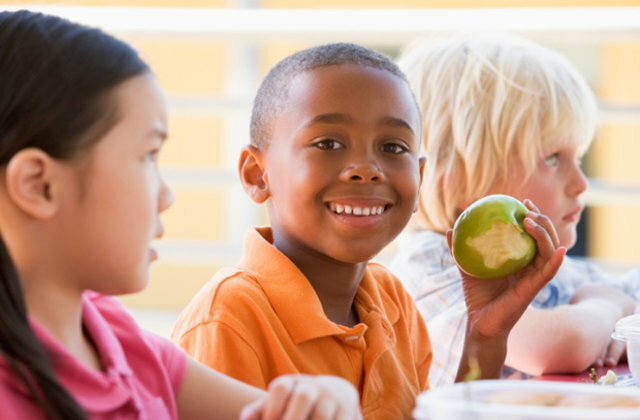 Have specific questions about your child’s diet or other ways to incorporate healthy eating? We are happy to help! Deciding to incorporate supplements, like a daily vitamin, into your child’s diet may make sense but it’s important to discuss it with one of our pediatricians first. Learn more by contacting the Association of Childcare Physicians by calling (618) 235-2311 or by visiting our website. Dr. Kellow and Dr. Shaw want to make sure your child learn healthy eating habits as a foundation for an overall healthy lifestyle! Amazon recently announced the toys they anticipate being the hottest for Christmas this year. The Good Housekeeping team also weighed in on which toys are going to be the most popular. 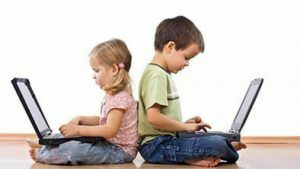 Based on their recommendations, we’ve accumulated the top 10 educational toys for kids that you may want to find at your local stores or online before they disappear. For $24.97, this set from Crayola transforms your child into a scientist thanks to the 50 experiments. Adult supervision is recommended. This vet kit is for ages 3 and older, offering a wide-variety of veterinary tools for $25.49. The Good Housekeeping toy experts liked that this set helps kids practice empathy and caring while they play. This fun-filled ice cream scoop set is priced at $39.95 and is great for hand-eye coordination and also creative play. The 28-piece wooden set includes an ice cream counter, eight ice cream scoops, six toppings, two cones, cup, scooper, tongs, wooden spoon, and six $1 bills so kids can learn the basics about running an ice-cream shop with their friends. Ozobots are award-winning robots that can teach your kids about coding through coloring on a tablet. Depending on the colors and designs they use, the Ozobots will follow commands. Whether it’s Evo or Bit, these app-connected robots get kids coding and loving robots with the stroke of a marker. Prices start around $46. Thanks to the release of Fantastic Beasts 2, a ton of new Harry Potter-inspired toys are hitting the market in 2018. This STEM option teaches kids to code a wand that responds to their movements. Priced at $99. Harry Potter lovers and kids aged 9 and up will love this building kit! For $99.99, this Hogwarts building kit was a huge hit. It comes with a potions room, treasure room, sorting hat, and the Mirror of Erised so they can take Harry and friends on their wildest adventures yet. 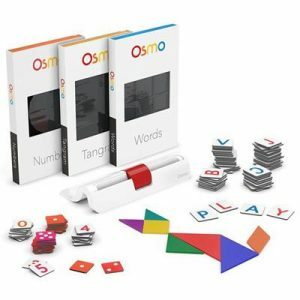 For $89, the Osmo Genius Kit is a good excuse for screen time. The kit offers up fun games on the iPad to promote math, spelling, and other learning skills. There are a many positive reviews circulating around this hot toy, but some parents do think that the ads were a downside. Another STEM toy, Good Housekeeping loved the variety of projects offered in this Hero Inventor Kit. With 18 projects, your kids will likely enjoy this toy for the long, winter months. Some of the more advanced projects even let them practice coding. This kit is priced at $149.00. This kit won the 2017 Good Housekeeping Toy Award last year and is believed to be another hot toy for this upcoming holiday season! For $159.95 and for kids aged 7 and up, this LEGO toolbox is packed with over 840 LEGO pieces as well as a move hub and interactive motor. Coding is a hot toy topic for this holiday, and Cozmo is one toy that will help kids fall in love with it! If your kids are new to coding, this friendly robot will let them explore and interact, play games and more. Cozmo is for kids 3 years and up, priced at $179.99. Are you ready to start shopping for the perfect educational toy this holiday season? View the complete list at that highlights toys at all price points and all ages. Happy Holidays from all of us at the Association of Childcare Physicians! Although children are pretty durable in all the tumbles they take, there is one injury that should always be taken very seriously: a head injury. A fall, a softball to the helmet, or a collision on the soccer field could all result in a concussion and should be closely monitored. Because concussions can take a few days to present symptoms, it is important to know what to look for and observe your child’s behavior and routine after a possible concussion in order to begin the recovery process as soon as possible. Regardless of how the concussion occurred, the signs to look for fall into four categories and should be examined by a medical professional. 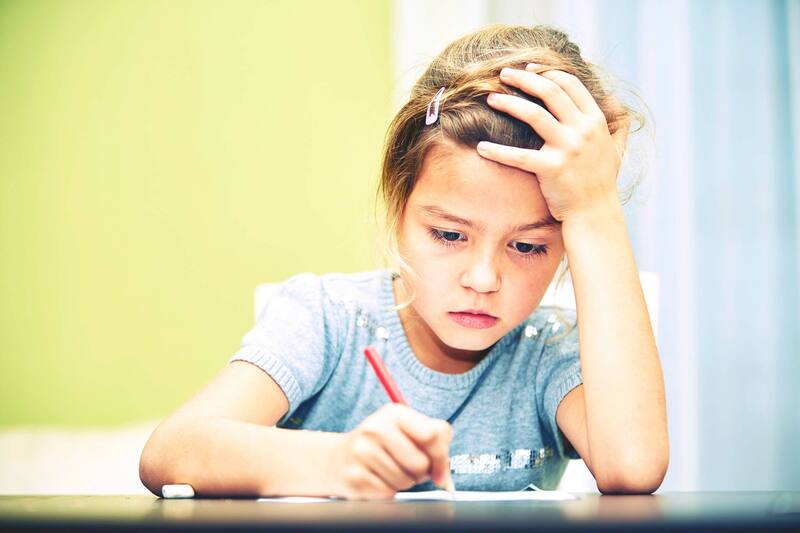 Cognitive-Your child can seem confused, disoriented and easily distracted. Your child may also show signs of memory loss and may be slow to respond to questions. Physical-Headaches, dizziness, nausea or vomiting and loss of consciousness are post-concussion symptoms. Your child may also have balance issues, blurred vision, poor coordination and sensitivity to light or noise. Emotional-Nervousness or anxiousness can be expected, as well as sadness or mood swings and inappropriate behavior. Sleep- Having a concussion can lead to sleeping problems like difficulty falling asleep, frequently waking up throughout the night, fatigue or tiredness during the day or the inability to be awakened. It’s important to note that children with concussions heal much more slowly than adults. The effects of a concussion can last weeks or months in children and can heavily interfere with school and social activities. If your child is having severe symptoms, it’s very important that they see a doctor immediately in order to make sure the head injury isn’t more serious than a concussion. If your little athlete suffers a concussion, he or she should stop playing immediately. Your child should absolutely not return to any physical activity on the same day the concussion occurred. Even if the symptoms appear to go away soon after the injury, they cannot re-enter the game. Your child should be restricted from physical and cognitive activity until they are fully healed. They must be cleared by a healthcare professional before resuming normal activities. The best way to begin recovery is to rest and relax for at least a few days. Excessive physical and cognitive rest is unnecessary, though. Give it a few days, and although it may be difficult at first, ease back into normal cognitive tasks. For children, returning to school can be fairly difficult, so it may be best for you and your child to make a short-term plan for the school day. This plan may include more frequent breaks when doing homework and additional time to complete exams and other assignments. Children should be focused on returning to school before returning to sports and should take everything in moderation. 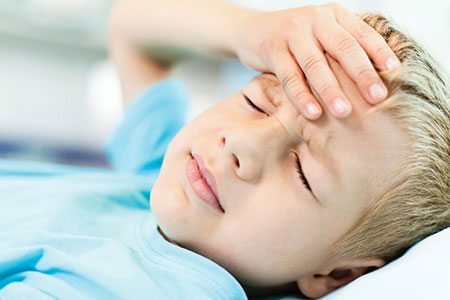 If your child is believed to have suffered a concussion, you can make an appointment at Association of Childcare Physicians by calling (618) 235-2311 or by visiting our website. Summer is quickly coming to a close, with a new school year just around the corner. Once the kids are back in school, time seems to fly by even faster. Between practices, homework and extracurricular activities, it seems hard to even find time to breathe. And when time gets tight, your health is often the first thing neglected. But it is important for both you and your children to keep a good diet, get enough sleep and stay organized throughout the year. Read on for tips to keep your family’s mental and physical health in check this upcoming school session! When your family gets busy, it becomes much easier to run through a fast food restaurant or grab a bag of chips instead of making a healthier meal or snack. Eating healthy while on the go is possible; it just requires a little more planning. Your kids will snack on what you make available to them, so opt for healthier options like granola bars, nuts, string cheese and yogurt. Buy lots of fruits and vegetables that your family enjoys, then wash and package them into snack bags as soon as you get home so they are ready when you need them. Pair with to-go packages of ranch dressing or peanut butter for an extra punch of flavor. Healthy meals require the same kind of planning. Every weekend, sit down and decide what your family will have for dinner in the upcoming week based on your nightly schedule. Purchase your groceries based on that meal plan and do as much prepping as you can when you get home from the store. Slow cooker meals are a great option because they can be set in the morning and ready when you get home from work. The key to “catching Zs” is training your brain to expect sleep at certain times—and then listening when your brain tells you to sleep. In order to make the most of your time asleep, it is important to keep a good sleep schedule. Your body cannot function well by “stocking up” on sleep on the weekends and barely sleeping during the week; it is better to aim for 8 to 10 hours of sleep each and every night. Encourage your kids to create a bedtime routine (like washing their face and reading a book) and do it every night before bed. This will signal to their brains that it is time for sleep, making it easier for them to fall asleep quickly. Once your body settles into a sleep schedule, it is important to stick with it. On the weekends, try to wake your children within 2 and 4 hours of their weekday wake up time. This will keep their body clock in check. During the week, make sure your children manage their time well during the day so they can go to sleep around the same time each night. Set a time every evening for your kids to do their homework so they are not tempted to procrastinate and do it in the middle of the night. The school year comes with many responsibilities and activities that can become overwhelming if you don’t stay organized. Depending on your personal preferences, either purchase a paper planner or download a planner app on your phone to keep track of family events and children’s activities. Encourage your children to keep their school planner updated with homework, projects and tests so they don’t fall behind in their classes. When purchasing school supplies for your kids, buy each of them one binder for every class, preferably each a different color. Have them keep their notes and assignments for each class separated in the different binders so they will be less likely to misplace items. Each quarter or semester, help your kids clean out their binders and recycle any papers they no longer need. Chances are, each of your kids are involved in at least one extra curricular activity or sport, all requiring different equipment. Set aside one bag for each activity and have your child keep all of his or her equipment for each activity in the assigned bag. If everything stays in the bag, it is easy to grab as they’re walking out the door and reduces the chance of them forgetting a shoe or shin guard. If you notice that your child is having an extremely difficult time eating healthy, getting sleep or staying organized, contact your family physician, as it may be a sign of a more serious disorder or illness. If you have questions about keeping your children healthy during the school year, please give Dr. Shaw or Dr. Kellow a call at 618-235-2311.